Genting Highlands is a resort city located on a mountain peak of the Titiwangsa Mountain Range at about 1,800 m elevation, about 55km north-east of Kuala Lumpur. Genting Highlands consists of hotels, casinos, restaurants and theme parks operated by Genting Malaysia Berhad. Genting Highlands has the only place with a gambling license in Malaysia. The Genting Highlands complex was built in 1965-1971 on a secluded hilltop and has been steadily expanded ever since. Many activities for children make Genting Highlands popular for family trips. There are many indoor and outdoor rides for children, but also other offers of entertainment such as Ripley's Believe It or Not! Museum, a haunted house or even a winter area with actual snow. The outdoor theme park offers not only family rides for small children but also bigger roller coaster and thrill rides. 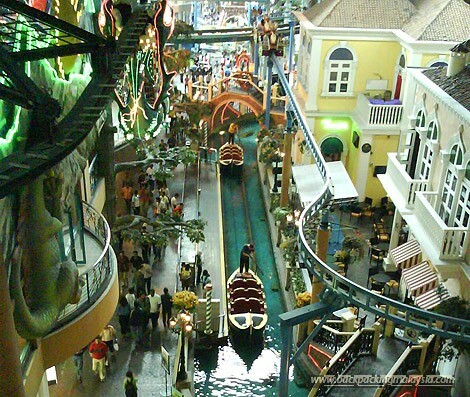 It is currently the largest theme park Malaysia has to offer. The event arena "Arena of Stars" has room for 6,000 people and is host to many concerts and other events, such as the MTV Music Awards 2008. The elevated location of the Genting Highlands in the mountains causes a much cooler climate than in a stuffy and sultry Klang Valley. Especially if it hangs in the clouds and the winds blows the fog through in between the buildings, it can get chilly. Long pants and a sweater / light jacket is recommended to bring along. Another highlight is the access route from Kuala Lumpur to Genting Highlands. The first 50km is traveled by bus. Once you leave the metropolitan area in the north of Kuala Lumpur (Gombak), the bus winds up the mountains on the impressive Karak Highway which was built into the hillsides. At the highest point you will leave the 6-lane highway and followed a 2-lane road up to Genting Skyway. 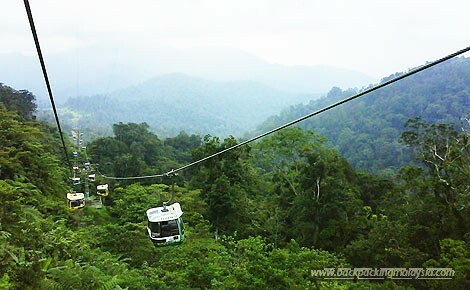 The Genting Skyway is a 3.4km long cable car route and, with great views of the rainforest, the highlight of the trip. 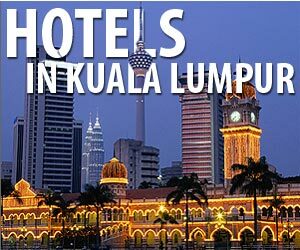 A visit to the Genting Highlands can be combined with a night in one of over 6000 beds in the 6 hotels (Genting Hotel, Highlands Hotel, Resort Hotel, Theme Park Hotel, First World Hotel). It is also possible and actually sufficient enough to do Genting Highlands as a day trip (arrival and departure take about 1 hour each). There is also the Golden Package for about RM50 for return transfer as well as the outdoor theme park ride pass or buffet lunch. Genting runs bus and cable car services from several locations in Kuala Lumpur to Genting Highlands. The first part of the journey will be by bus, after that you will transfer to the Skyway cable car for the rest of the journey. If the cable car is under maintainence then buses will run right all the up to the entertainment city. 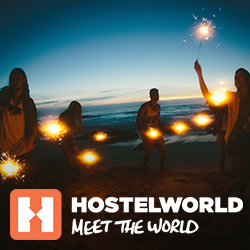 On Friday, Saturday and Sunday there are also direct express bus available (to Genting First World Hotel) from Putra Terminal (7.30pm, RM4.30, child RM3.20), KL Sentral (8pm and 9pm, RM5.30, child RM4), Gombak (7.30pm).